At BPS, we have an in-house team of Commercial Gas Engineers Neath who are certified in gas work and safety. We are Gas Safe Registered and make sure that any gas work is compliant with existing requirements and regulations. Our gas engineers are experts in the installation of commercial gas pipework in addition to the commissioning, repair, and routine maintenance of gas pipework. The team will decommission any services and appliances, including heating systems and boilers if existing equipment requires to be replaced. 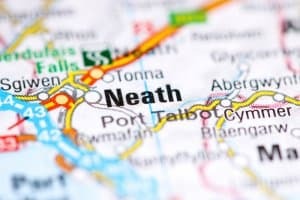 In the event that you have a fault or have concerns with any of your gas equipment or service then our service centre in Cardiff are available 24/7 to allocate all our jobs to our Gas Engineers who are based throughout Wales and the UK and readily available 365 days a year in order to ensure any faults are corrected quickly and safely. Every emergency call is categorised, allocated and completed with full client approval including detailed recordings of details of repair or remedial work with full site information. We offer a fully planned repair and maintenance service that will keep your gas appliances and works running efficiently and safely. A regular maintenance visit will prevent issues with your systems before they become a problem so it is often something we suggest you think about. Our Planned Maintenance services are designed specifically around each client’s requirements and carried out by our suitably qualified Commercial Gas Engineers Neath in line with all current Health & Safety regulations. Full Risk Assessment and Method Statements are always provided. We have comprehensive, practical experience and expertise in the installation and maintenance of commercial boilers and heating systems ranging from smaller boilers right up to full plant room installations. We install and manage commercial boiler management systems and these make it possible for our team to pinpoint problems with your heating long before you do. Through an online network, our team can keep track of precise faults on your heating and cooling system, diagnose them and frequently we can resolve them remotely. In the event that our team aren’t able to resolve it remotely then we will have identified the problem before we arrive, giving us more of an opportunity to correct it on our initial visit. In the event that you are putting in a new gas system or appliance then we offer a consultancy service to advise you on the industry’s most up to date and state-of-the-art energy-efficient, and cost-saving products. This service includes the planning and design stage, right through to installation and project fulfilment, together with planned aftercare. Our Gas Engineers qualifications and practical experience make it possible for us to deal with all types of plumbing, heating, boiler or gas related problems. No matter if it is a routine boiler inspection or a gas pipe problem, our company can assist. Our customer-focused company ethos means that each and every team member at BPS is focused on delivering the absolute best service every time. We only do a job if it needs carrying out and complete all work to the highest of standards. All our Gas Engineers are customer facing and have exceptional communication skills, with the ability to explain to our clients the work that is really needed and keep them updated on the progress of their work. We are registered and approved by a wide number of organisations and our team of Commercial Gas Engineers Neath deliver unequalled heating solutions, nationwide, 24 hours a day. Health & Safety for our customers and staff is a primary concern. We are committed to ensuring our managers and staff receive the latest safety training. BPS Facilities Ltd operates and complies fully in accordance with CDM Regulations HSE 2007 with amendments as necessary. We are positively engaged with our clients’ safety procedures and work closely with them to encourage and develop safe working practices. We provide 365 days, 24/7 emergency service contracts throughout Wales, the South West of England and the M4 Corridor for commercial gas work through our network of BPS Commercial Gas Engineers. Call us today on 029 20 484114 to find out more. What is a Commercial Gas Engineer? The role of a Gas engineer as well as the installer is installing, assessments and repairing gas appliances and piping in the home. A commercial gas engineer and installer will service, repair and install industrial appliances, heating units, boilers and piping in academic institutions, college and universities, places of worship, public buildings and so on and commercial properties. Why should one choose a Commercial Gas Engineer? A Commercial Gas Engineer will be experienced in working with, repairing, maintaining and installing larger sized gas appliances, heating systems and pipework and this means they will certainly have the expertise required to maintain and repair these types of larger systems. What qualifications should a Commercial Gas Engineer have? A registered and accredited Gas Engineer will have an industry qualification such as Gas Installation and Maintenance or Gas Utilisation Engineer Level 3 NVQ or Diploma and be Gas Safe registered. Some certified gas engineers become qualified from working through an apprenticeship and still obtain the same qualifications as the end of it. Why is it necessary to employ a qualified Commercial Gas Engineer? It really is simple…… dangerous and incorrect gas work can be dangerous. Poorly fitted and badly serviced appliances can cause gas leakages, fires, explosions and also carbon monoxide poisoning. Using an unqualified illegal gas fitter can possibly put lives at risk in addition to costing you a great deal to have it resolved or rectified. It is astounding that there more than a quarter of a million unlawful gas jobs performed every year. If your gas engineer is not Gas Safe registered then they are literally operating illegally. If your gas engineer is qualified and registered to do gas work in your home then they will be able to show you their Gas Safe ID card. Be aware that not all gas engineers are qualified to work on all forms of gas appliances. The back of their IDcard reveals to you if they are actually qualified to work on the specific form of gas work you require. As an example, if they put in a gas fire but they are only Gas Safe registered for pipework and boilers then they and their work are illegal. An additional issue to take note of is if a Gas Engineer works for a Gas Safe registered service provider during the course of the week and they are conducting work for you outside of this as a private job then this is likewise illegal. It is against the law for any individual to do work on gas equipment within the United Kingdom, Isle of Man or Guernsey unless they are Gas Safe registered. What does a Commercial Gas Engineer do? A Commercial Gas Engineer will repair, service, maintain and install gas pipework, gas boilers and heating and cooling system. These experts will certainly have the know-how and expertise to swiftly determine and repair issues or pre-empt potential issues that may occur with much larger commercial systems. Why is a Commercial Gas Engineer different from a Domestic Gas Engineer? A Commercial Gas Engineer will definitely have the know-how and practical experience of working with, repairing, maintaining as well as installing larger and a lot more complex pipework with commercial appliances and within commercial buildings. A Domestic Gas Engineer will have the knowledge of repairing, maintaining and installing gas appliances that are designed for usage in domestic properties as well as gas pipework up to 35mm in diameter in domestic homes. There might be instances in more substantial domestic homes in which non-domestic apparatus and larger pipework are called for and in these kinds of instances, commercial gas services classifications may be required. If you are not sure if you need a commercial or domestic gas engineer then you can contact the Gas Safe Register or even call our company in order to get suggestions. What hours does a Commercial Gas Engineer work? Most Commercial Gas Engineers will be readily available 24/7as they will work on both scheduled maintenance and servicing work, installations in addition to emergency reactive services also and as a result of this, it is normal that they hold a full driving licence. The Gas Safe Register is the official gas registration body for the United Kingdom, Isle of Man and Guernsey, appointed by the applicable Health and Safety Authority for each area. By law, all gas engineers must be on the Gas Safe Register, and the Register’s role is to serve as a licensing body. When an organisation becomes Gas Safe registered they are being issued a licence in order to carry out gas work (much as the DVLA issues driving licences to those who have demonstrated their competence by successfully passing a driving test). As a result, the checks Gas Safe Register make before permitting registration only extend to ensuring that those applying for, and holding, registration is suitably qualified as gas safety competent. Gas Safe Register is not a membership body for engineers, nor a trade association. Gas Safe Register took the place of CORGI as the gas registration body in Great Britain and Isle of Man on 1 April 2009 and in Northern Ireland andGuernsey on 1 April 2010. In the event that you require gas work completed in your commercial property or work environment, you can make use of the several search options to locate a registered business or check an engineer is registered and qualified for the work you need doing. The Gas Safe Register is the official list of companies that are lawfully given permission to undertake gas work. Each and every registered company who employs gas engineers are issued with Gas Safe ID cards. Not all engineers are certified to carry out all forms of gas work so remember to inspect their ID card long before any work is executed. Employ an experienced, trusted and reputable facilities company, such as BPS, who will only ensure the right and appropriately qualified gas engineer is dispatched to your business. If you think a person is working on gas unlawfully, you really should report them to the Gas Safe Register who will then investigate. There are in excess of 120,000 engineers on the Gas Safe Register and the Gas Safe Register inspects the work they’ve undertaken on an ad hoc basis so as to monitor their work is still compliant and safe. If you’ve had gas work carried out in the previous 6 months, you can nominate it for a free gas safety inspection. What does the Gas Safety Register do? The Gas Safe Register investigates reports of illegal gas work. The relevant information they gather is turned over to the Health and Safety Executive(HSE), who have the power to prosecute. The Gas Safe Register conducts public awareness campaigns to make as consumers aware of the risks of hazardous and unlawful gas work, and of other dangers, for example, carbon monoxide gas (CO) poisoning. It is the coordinating body for the yearly industry-wide Gas Safety Week campaign. What is the Purpose of the Gas Safety Register? BPS is a family owned facilities company based in Wales and we have engineering hubs around the UK and work alongside many prominent and reputable national brand names. Our experts provide mechanical and electrical engineering services, maintaining central heating, electrical, air conditioning, catering and refrigeration systems and our team of BPS uniformed and vetted (DBS) Gas Engineers are situated at our engineering hubs across Wales and the UK. All carrying industry-specific accreditations (Gas Safe, NICEIC, Chas and B&ES;). We have ₤10m of public and third-party liability insurance. Our professional service is unrivalled and we offer extraordinary value for money solutions to commercial businesses and properties around the UK. Our Cardiff based control and call handling centre are available to take your call 365 days a year, 24-hours a day and will make sure that the correct engineer and team are dispatched to you the moment you are in need of it. You can be assured that we do not utilise sub-contractors and we do not subcontract any of our work. Our technical support centre is always on hand to answer any type of questions our team out on a job may have and this supports our team to resolve and repair systems and equipment promptly and safely. BPS Facilities Ltd. have many years’ experience in servicing and maintaining commercial gas, oil and biofuel boilers. Maintaining your boilers and their associated equipment will ensure that boilers operate safely, at maximum efficiency and provide reliable operation. Our fully qualified engineers provide the following services. We offer tailor-made and specific planned maintenance packages for commercial building operators. This includes inspection, servicing, repair and certification contracts with access to our highly reactive emergency support teams. Our care packages ensure that your systems and apparatus are fully serviced and certified giving you peace of mind together with smooth and problem-free, reliable operation. Our team of joiners, electricians, engineers and construction engineers have all the skills required to make sure your project runs smoothly, efficiently and in a timely manner without you needing to cope with several parties or subcontractors. If you are searching for Commercial Gas Engineers Neath for any sort of repair, routine maintenance or installation anywhere In Wales or the surrounding areas and a supplier that can offer you a genuine solution, then please give our expert team a call on 029 20 484114 and they will be happy to assist with any type of query or emergency repair you have.